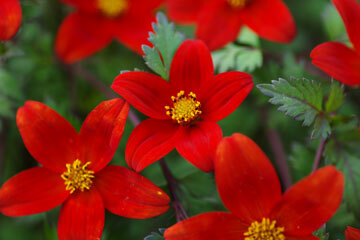 The first red Bidens in the world. Shiny little flower, strong for hot & dry! Do you want bright flowers in winter? ☆ We have distribution partners each series, each area. ☆ We respect our partners and we respect the contract with our partners. ☆ We do our own, original breeding. No copy breeding. 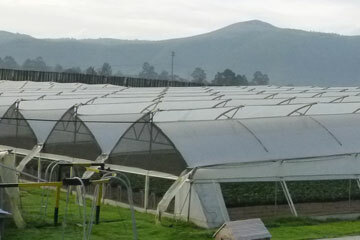 ☆ We are 'sales breeders' that look for a fair profit as a breeder. 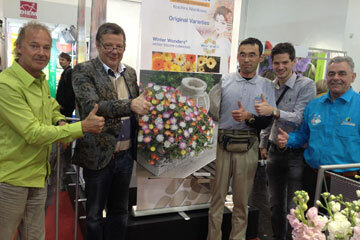 ☆ We are flower breeders and have started breeding in 2002. ☆ We have produced many Sedum and Delosperma plants for roof gardens. 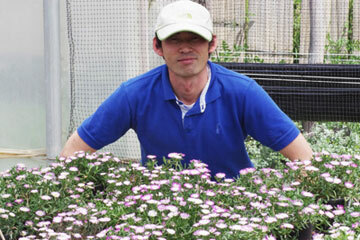 Koichiro wanted to have more flower colours in the roof gardens so he started breeding of Delosperma. ☆ Now we have also other species like Calendula, Bidens and strawberries. All the plants we breed are hardy, drought tolerant and disease resistant. We have distribution partners for each series and in each area. We respect the partners and the contracts. We are 'sales breeders' that look for a fair profit as a breeder. The partners are as follows.